New England Patriots wide receiver Julian Edelman is set to undergo an MRI for a possible torn ACL he suffered in Friday night’s preseason game. In the New England Patriots’ third game of the 2017 NFL preseason, not everything was glorious for the defending Super Bowl champions. 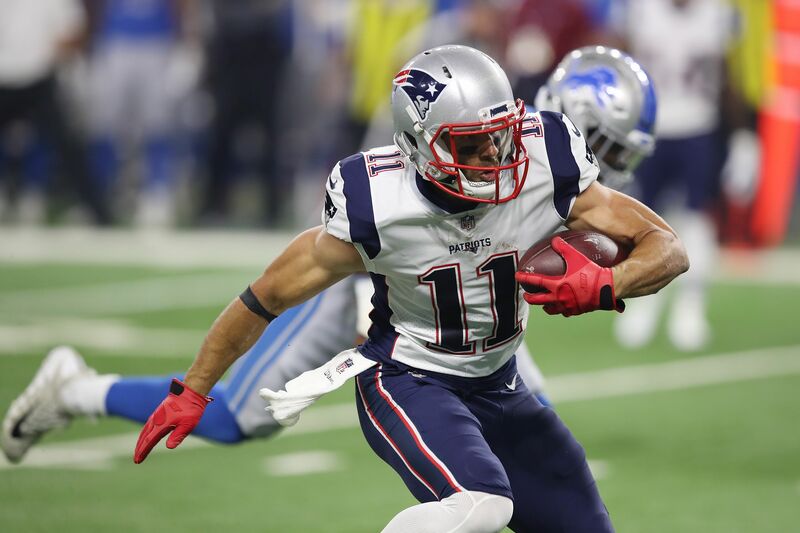 Wide receiver Julian Edelman went down with a non-contact injury to his right knee in the team’s 30-28 win over the Detroit Lions, their first victory of the preseason. The team suspects that Edelman tore the ACL in his right knee. Edelman, who made the heroic catch to assist the Patriots in their record 25-point Super Bowl comeback, had just caught a pass from quarterback Tom Brady before turning the corner and tumbling over, favoring his right knee in the process. The star wide receiver is set to undergo an MRI tomorrow to determine whether or not he does indeed have a torn ACL in his right knee. Patriots suspect Julian Edelman tore his ACL, but do not definitely know, per source. MRI on Sunday to determine full extent of injury. Update: Julian Edelman’s MRI is Saturday, not Sunday. Patriots suspect ACL, but tests to determine. If he does end up having a torn ACL, there is no reason to doubt the fact that he will miss the entire 2017 season. However, the Patriots are the one team built to withstand losing a key player like Edelman, as Tom Brady can make even the worst receivers in the league look like Pro Bowlers, something we have seen throughout his entire Hall of Fame-worthy career. Add to that the fact that the Patriots still have arguably the best tight end in the league in Rob Gronkowski to rely on and they just added speedster Brandin Cooks to their receiving corps as well. While they may miss Edelman at first, they are still going to end up being favorites to win Super Bowl LII. Do you think the Patriots should prepare for a season without their best wide receiver? Let us know in the comments below, and be sure to follow along with FanSided for news, opinions, and analysis stemming from numerous different sports.